A new feature in iOS 11, called Business Chat for iMessage, is now available in developer preview. Here are the details on how it works. 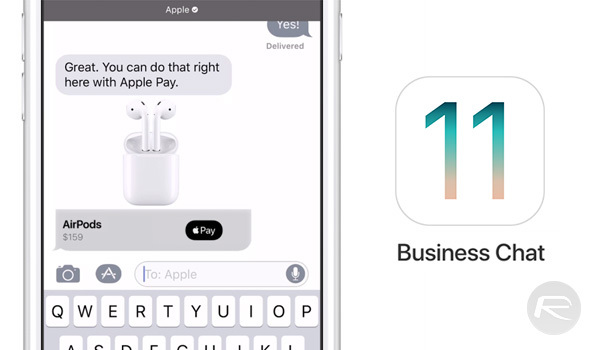 The final day of Apple’s Worldwide Developers Conference saw the company launching a new customer service platform headed to the iPhone and iPad with the release of iOS 11. Business Chat is a platform that will work as an extension of iMessage, allowing seamless interactions between customer and service provider within a native environment. The feature aims to make everything from basic customer support services to more complex interactions like purchasing products and tracking shipments much more fluid. Of course, like any platform, Business Chat would require developers and service providers to be on board with the idea. With Apple’s offerings as homogenous as they are with businesses nowadays, however, that shouldn’t prove to be much of a hurdle for the Cupertino giant. The real challenge for Business Chat lies in user adoption and awareness. To that end, Apple has integrated the feature into any and all channels that may see users searching for businesses of interest, namely Safari, Siri, Spotlight, and even its own Maps app. Business Chat is a powerful new way for businesses to connect with customers directly in Messages. Using Business Chat, your customers can get answers to questions, resolve issues, and complete transactions on their iPhone, iPad, and Apple Watch. Customers can find your business and start conversations from Safari, Maps, Spotlight, and Siri. 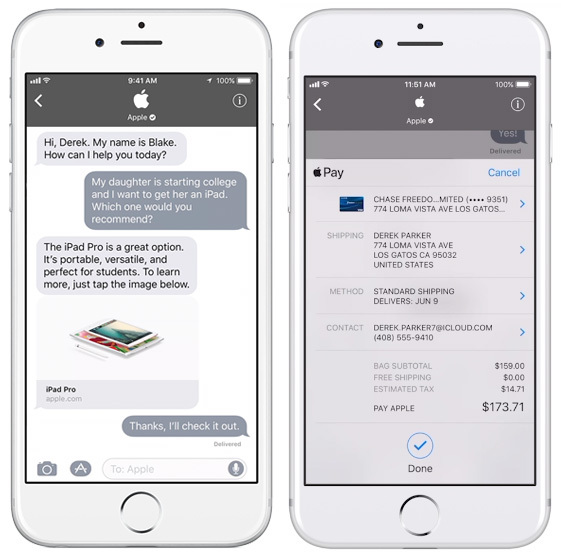 Leveraging the existing capabilities and integrations of iMessage, this new offering will allow users to view products or review reservations and then pay for them using Apple Pay, all from within a simple chat session with a business representative. Like in any other iMessage thread, chat history is saved, which means customers will be able to return to old chats and follow up on their queries whenever needed. Developers and service providers looking to integrate Business Chat into their apps, websites, or business profiles can sign up for its developer preview right now by heading over to register.apple.com/business-chat. How is it bloatware if it’s an update to an app that’s been on your device since day one? Damn, if you call this bloatware, you’ll piss your pants if you ever use an Android! Functionality that is pushed down your throat, which you might never use is called bloatware, packing extra functions increase size & slow the app down, making whole experience less pleasant. It’s literally a banner at the top of an iMessage. I think you’ll live. I am sure , I can survive but that was just a definition though haha.